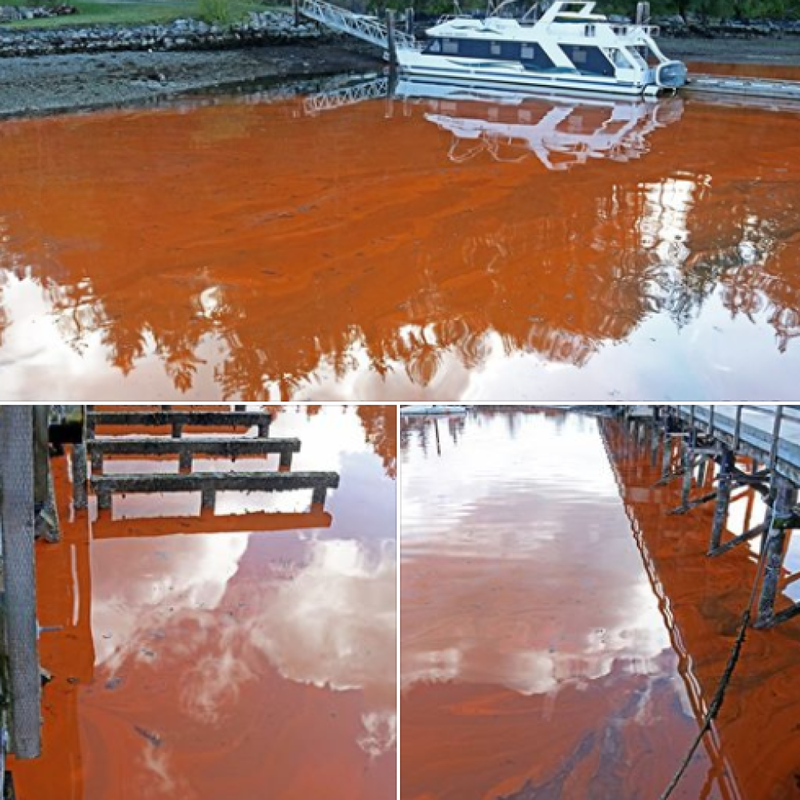 There’s been some rusty, greasy water sitting in Porpoise Bay for the past couple of days. Canadian Shellfish Sanitation Program Coordinator and Fisheries Biologist, Elysha Gordon said it’s not red tide and it’s non-toxic. Gordon said there is a large sanitary closure in Porpoise Bay and all bivalve shellfish are closed to harvesting, however areas that are not closed by sanitary closure in Porpoise Bay (Subarea 16-5) are currently open to the harvest of manila clams, littleneck clams, mussels and oysters only. 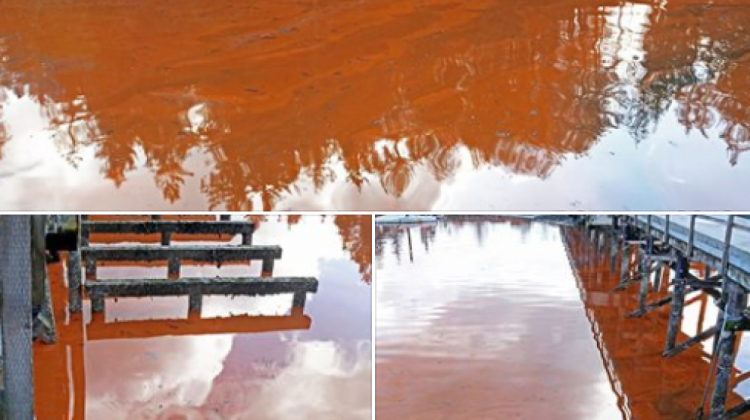 Gordon said there are a number of reasons why the red algae may have formed in the Bay, it’s not an uncommon type, however, it doesn’t usually appear until June or July. She says it will likely move off in a couple of days.